WATCH: Disney's Moana Trailer | Nerd Much? Disney is apparently prepared to just ignore video games entirely, now, as they’ve oddly taken the first day of E3 2016 to debut the first Moana teaser trailer. 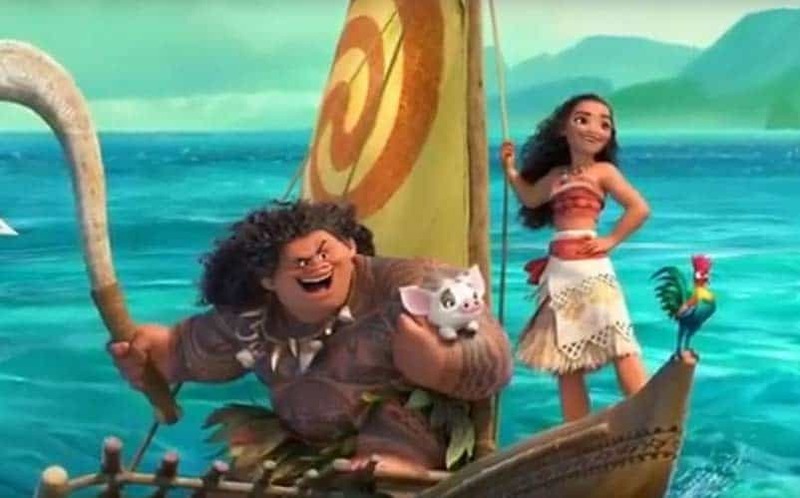 We’re not complaining, though, as this debut Moana trailer does pique our interest for the upcoming animated movie just a bit more, as it gives us a brief look at the movie’s main characters. The movie will tell the story of its titular character, a young girl who wants to prove she’s a master wayfinder. She sets out on a quest to Maui to find a mystical island. The film is directed by Ron Clements (Aladdin, The Little Mermaid) and John Musker, with a script by Jared Bush (Zootopia, Big Hero 6). Moana will star Dwayne Johnson (as the Polynesian demigod you see in the trailer above), Alan Tudyk, and Auli’i Cravalho in her debut, and it’s set to release in theaters on November 23, 2016. For more on Moana, stay tuned to Nerd Much. You can also follow us on Twitter and Facebook, and check out all of the upcoming animated movies of 2016 and beyond here.